I was flipping through a local paper the other day and I happened upon an advertisement concerning Teen Challenge participating with a youth group in the area. Many of us are aware of Teen Challenge and probably know of someone who has gone through this ministry. Not to long ago my family and I watched The Cross and the Switchblade, which is the story of David Wilkerson in his younger days, who birthed the Teen Challenge ministry. David Wilkerson has gone on to be with the Lord, but before he finally found his true rest, he made many efforts to warn the church about leaving the gospel. His book, Set The Trumpet to thy Mouth, was David being a watchman for the church, which resulted in much criticism for him. 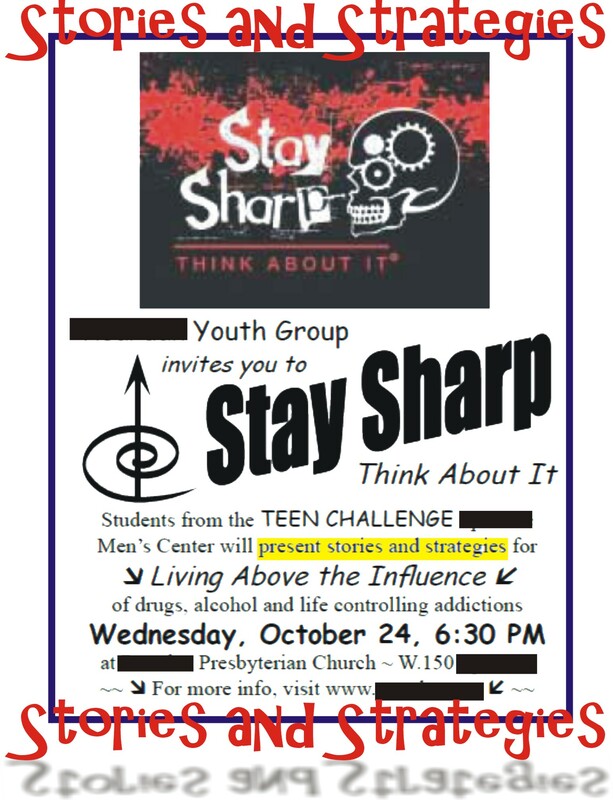 I found this advertisement, which had the Teen Challenge ministry as the focal point, shocking because it reflects those things which I believe embodies what David Wilkerson was warning the church about. Let me explain what I mean. In recent posts I have been trying to challenge readers about the true message of our gospel. Our gospel message isn’t singularly the idea of Jesus dying for our sins. Nor is it summarized in the teaching that our sins our nailed to the cross. But this is how the church presents the power of the cross. Ironically, we have people come to Christ, like those in Teen Challenge, and pass out to them grace from the pulpit but teach the rest is up to good moral behavior which can be obtained through strategies and techniques that keep one moral. In light of the type of gospel that the church teaches about the power of the cross, it leaves many churches and ministries, like Teen Challenge, struggling to help those who are steep in addiction (which I like to still call SIN). Because the church has replaced the gospel, it resorts to human psychology and patterns of behavioral changes to see those in addictions live as close as they can to the Christian model. There is a reason churches and ministries have support groups, that share one’s particular struggle, like 12 Step programs with proven strategies to get people out of addiction. Relying on a literal army of pastors and lay people who are certified trained counselors for those who have issues in life too hard to overcome by one’s self. The reason we have all of this, is either the gospel of scripture, only has the power to save but not change people, or we are preaching the wrong gospel (a false gospel) and not understanding, let alone living in, the power of the one true gospel. The fact is we the church are preaching a gospel that is summed up in the singular understanding of our sins being nailed to the cross. But is that all the cross has done for us? Is there nothing more for the believer? Is there no truth of the gospel for all those in counseling and 12 Step programs who are looking to change a life addicted to bad behavior, bad choices, substance abuse and down right sin? Many people think Paul was engrossed with the idea that all we need to be concerned about is whether or not we are in God’s grace. They think Paul’s teaching of grace is summed up in the teaching that we are in His grace by having our sins nailed to the cross of Christ. This couldn’t be further from the truth not only concerning what Paul taught but for the gospel as a whole. In Romans chapter 6 is one place, of many, not only in the writings of Paul, but the gospel as a whole, where we can see the true power of Christ and the cross. Not only is it the true power of Christ on the cross in theological terms, but is practical every day and in every way by which people who are truly born again are changed by the Holy Spirit and set free from addictive sins. True spiritual change from the Father does not come from support groups, counseling, addiction programs or any other human psychological self-help teaching, but only through being born again. And this power of God’s grace is not summed up in the singular idea of our sins being nailed to the cross. If the church wants to summarize the power of the cross in a believer’s life, the summary should be… we are changed by the power of the Holy Spirit and have left the life of sin because we have been born again. Not this psychology garbage preached from so many pulpits and in front of so many TV cameras or found printed in so many books. There is a difference between the powerless gospel of the church and the powerful gospel of Paul and the gospel as a whole. Paul, when asking the question should we sin so that God’s grace might abound, answers by saying that if we are in Christ it is not a matter of principle that we shouldn’t sin, it is a matter of whether or not we are in Christ. What shall we say then? Shall we continue in sin, that grace may abound? (2) God forbid. How shall we, that are dead to sin, live any longer therein? (3) Know ye not, that so many of us as were baptized into Jesus Christ were baptized into his death? (4) Therefore we are buried with him by baptism into death: that like as Christ was raised up from the dead by the glory of the Father, even so we also should walk in newness of life. (5) For if we have been planted together in the likeness of his death, we shall be also in the likeness of his resurrection: (6) Knowing this, that our old man is crucified with him, that the body of sin might be destroyed, that henceforth we should not serve sin. (7) For he that is dead is freed from sin. Paul’s gospel of grace isn’t restricted to our sins being nailed to the cross as the church teaches, producing many immoral carnal believers who succumb to human psychology to help them with their sins. Chapter six in Romans is a great place to begin if you want to understand what Paul and the gospel really teaches about grace. Remember God’s grace is given to mankind, who is not worthy of this grace, available to us through God’s action on behalf of mankind. So when Paul speaks of our old man being baptized into the death of Christ, or us being buried with Him by this one and same baptism or that we should walk in newness of like akin to Jesus who walks in newness of life in His resurrection, all of this is by the grace of God through the power of the Holy Spirit in the life of someone who is born again. Again our old man being crucified on the cross is something we could not do for our selves and needs to be taught in the gospel of the church today. The fact that all a born again believer needs to have their old sin nature die so they will be buried with Christ (before they can actually be born again) is a part of the gospel of God’s grace, which needs to be preached in today’s church. What is also missing from the gospel of the church today, but not the gospel of Christ, is those who have had their sin nature crucified with and buried with Christ are now raised in newness of life as new as that of Christ, by which we are no longer slaves to sin. This is why scripture says we as born again believers are under the new Adam and not the old Adam. We are no longer under sins curse. truly the power of the gospel is to make our yoke easy and our burdens light. In fact in Paul in the same chapter, speaking of the believer, says we are free from sin. That is right free sin. Paul even thanks God that born again believers do not follow the sin nature, but instead follow after righteousness. Paul goes so far as to teach that by your actions you show who you serve and if you are truly “in Christ”. That’s right, if you sin you show your self a servant of sin and are not participating in the gospel of grace that Paul clearly teaches in scripture, you are not “in Christ”, you are not born again. If you live righteously you are “in Christ” because the full power of God’s grace is in your life because you have been born again. Paul teaches, unlike the church, that our actions actually do have an impact on whether or not we go to heaven or hell. Paul teaches not only here in the book of Romans that those who obey sin receive death and those who obey Christ have the righteousness of Christ in them. Here is another place that Paul speaks of this truth. John also agrees with Paul, because this is a gospel teaching not just a teaching of Paul. Little children, let no man deceive you: he that doeth righteousness is righteous, even as he is righteous. (8) He that committeth sin is of the devil; for the devil sinneth from the beginning. For this purpose the Son of God was manifested, that he might destroy the works of the devil. (9) Whosoever is born of God doth not commit sin; for his seed remaineth in him: and he cannot sin, because he is born of God. (10) In this the children of God are manifest, and the children of the devil: whosoever doeth not righteousness is not of God, neither he that loveth not his brother. John makes it very clear to us with a warning! Don’t let ourselves be deceived. If, and only if, we do righteous (which comes through the full grace of God as Paul taught through being reborn in the Spirit and not the Law) then we have the righteousness of Christ in us because we have been born again. By being born again, and only by being born again, do we share in the hope of salvation. WE DO NOT SHARE IN THE HOPE OF SALVATION FOR BELIEVING SOMETHING. We share in the hope of salvation by being something, and this something is participating in the full grace of God and being born again. No longer living to the sin nature, because it died on the cross with Christ and is buried. Leaving only the new man to live out his life in faith in obedience to the Spirit of God. This is being born again. The gospel the church refuses to believe is that those who are “in Christ” have had the sin nature in their lives destroyed by the power of the Cross. If one truly is born again and follows after righteousness, there is no need nor room for “stories and strategies” to help a believer overcome sin. They are believers because they have already overcome sin by being born again. The church will reject what I have testified about the truth of the gospel. Many will read what I have written and disagree because of what they have been taught, not by what they have read in scripture. Soooooo… what we have left in the church is a gospel that has no more power than any other faith to change a man. The church may think they are not being taken in by the ecumenical movement from the United Nations to merge all religions, but we have been taken in. We refuse the truth of the true grace of God and have watered down our gospel so much the actual application of our gospel is found in human psychology and successful strategies to be moral, happier humans. How is this any different from any other religion out there. Human psychology is not exclusive to Christianity, it is inclusive of all mankind, Christians, Muslims, Mormons, Eastern Mysticism, Agnostic and even the atheist. 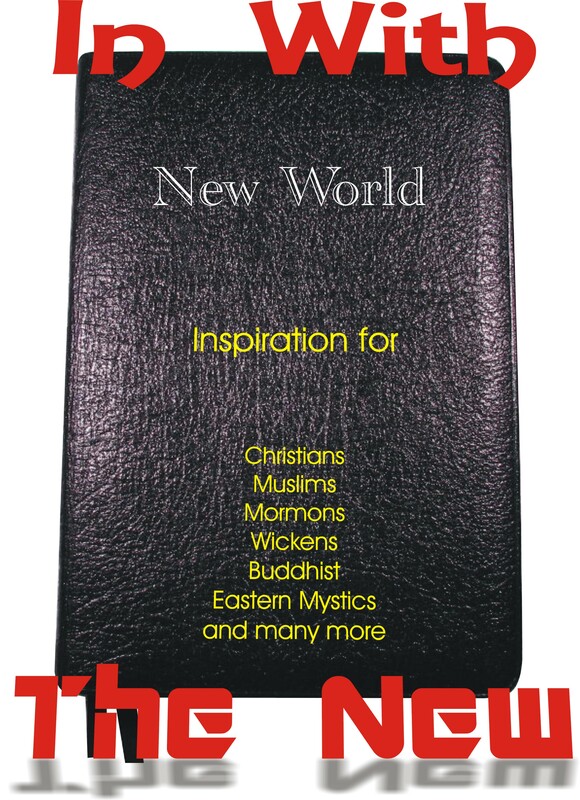 We truly are on our way to a one world religion. The Church has turned away from the true gospel and ministries like Teen Challenge and others are offering “stories and strategies” with a twist of Christianity to make it flavorful for those who would seek to be freed from sin. What would have been good to se in the ad is the discussion of the power of the gospel to set people free from sin. Letting people know deliverance from destructive lifestyles only comes through the power of the gospel by truly being born again. Imagine that kind of power available for those in the Teen Challenge ministry. Imagine the testimony and explosive growth of the gospel through not only this ministry but all of them, if we only would preach the true grace of the gospel… to be born again. But this is the gospel the church refuses to believe. Instead we should feel sorry for all those saints who had gone before us for the last 2,000 years who didn’t have stories, strategies and psychology to live the victorious christians life. What about you? What gospel do you believe? What gospel do you participate in? 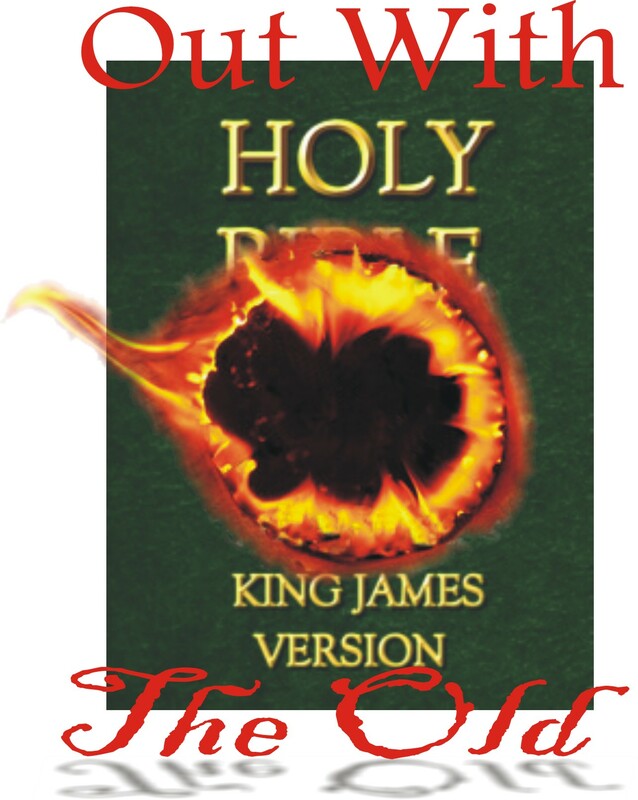 Do you defend the one true gospel of grace… being born again. ← When did grace start, with Jesus? Christ and Him crucified– Repent and be “baptized” for the forgiveness of sins.”Eph 2:8 For by grace are ye saved through faith; and that not of yourselves: it is the gift of God:” Grace is the gift, I choose to believe, that’s the faith. That’s pretty much me, peace, mark. The problem is, the majority of the leadership in the nominal “Christian” churches do not believe in the power of God’s grace to actually deliver a person from the power of sin. But those of us who have truly received this grace know by experience the fullness of that power.